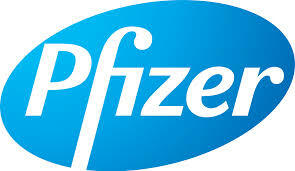 Company profile:Pfizer is one of the world's largest pharmaceutical companies.It is listed on the New York Stock Exchange, and its shares have been a component of the Dow Jones Industrial Average since 2004. The company develops and produces medicines and vaccines for a wide range of medical disciplines, including immunology, oncology, cardiology, diabetology/endocrinology, and neurology. Its products include the blockbuster drug Lipitor (atorvastatin), used to lower LDL blood cholesterol; Lyrica (pregabalin) for neuropathic pain/fibromyalgia; Diflucan (fluconazole), an oral antifungal medication; Zithromax (azithromycin), an antibiotic; Viagra(sildenafil) for erectile dysfunction; and Celebrex/Celebra (celecoxib), an anti-inflammatory drug.